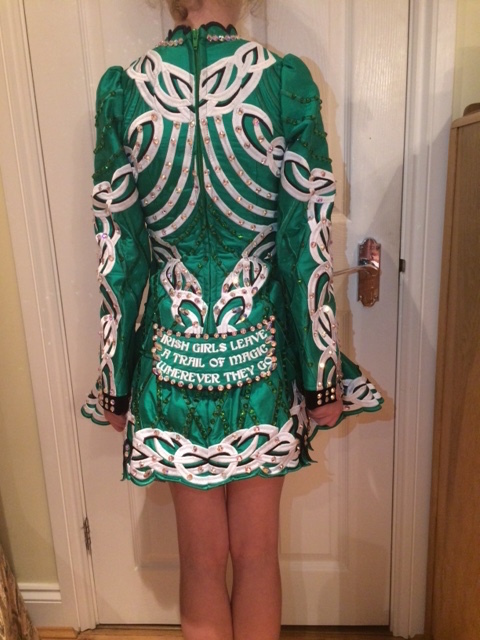 Exquisite Siopa Rince champion’s dress . 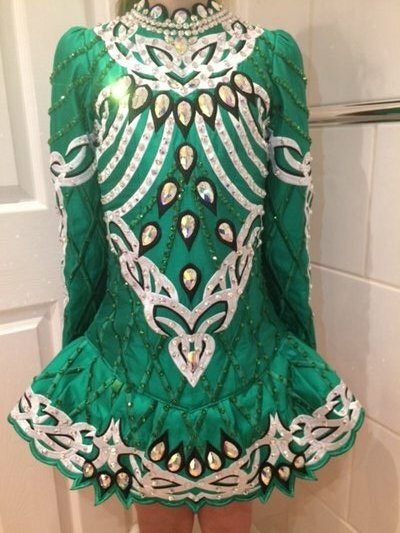 Highly bejewelled, emerald green and white celtic design. This dress exquisitely merges the traditional Irish with a modern twist. From a smoke and animal free home. This dress is in immaculate condition.